REDUCED! Great Residential Building lot near the lake! PERFECT WEEKENDER ON BOB SANDLIN! 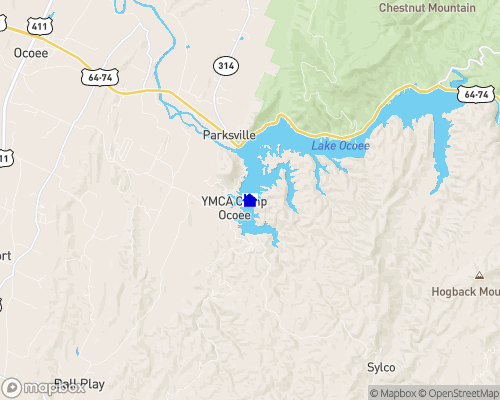 Located beside Scenic Highway 64, this 1,930-acre lake offers water activities such as swimming, boating and camping with vistas of Cherokee National Forest.Parksville Lake, also known as Lake Ocoee, is located behind Ocoee Dam No. 1 and is easily accessible from Interstate 75. Lake levels fluctuate very little during the year, and the lake offers scenic vistas of Cherokee National Forest. Visitors can stay at the Forest Service campgrounds or at a commercially operated inn on the lakeshore. The main attraction of the Ocoee River Gorge is the whitewater course below Ocoee Dam No. 3, which drew thousands to the Olympic competitions in 1996. But if you’re not a world-class kayaker (and even if you are), there are plenty of other things to see and do on the Ocoee. The four-and-a-half-mile Ocoee whitewater rafting area, located below Ocoee Dam No. 2, attracts more than 200,000 visitors each year. A number of commercial outfitters organize and supply rafting trips down the floatway. The U.S. Forest Service manages a number of recreation areas in the Ocoee River region. Swimming, picnicking, and camping facilities are available, as well as boat launching ramps.